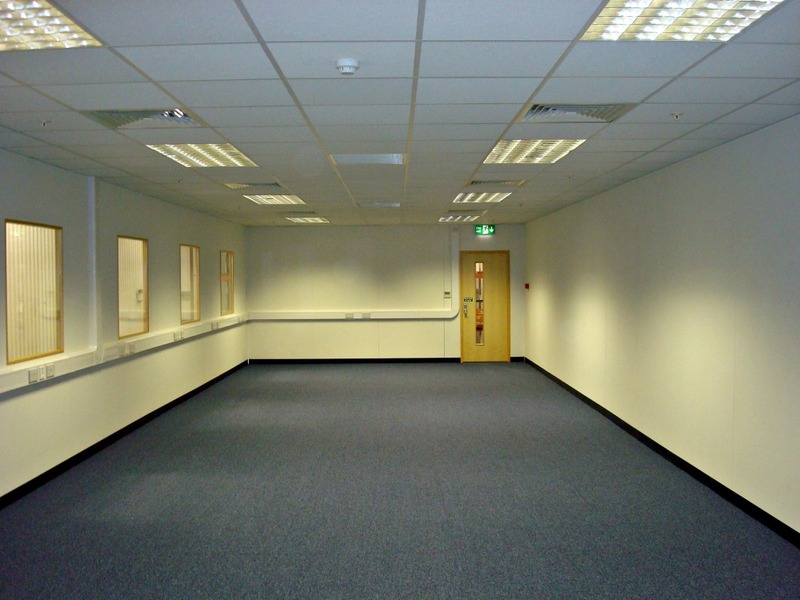 A professionally planned, designed and installed suspended ceiling can provide you with many advantages. While improving employee health with the right choice in lighting schemes, you will also notice that your new ceiling reduces your energy costs dramatically. A well placed suspended ceiling will improve heat and noise insulation and limit the space to be heated or air conditioned, meaning a more efficient system. This will lead to the air conditioning or heating system being less frequently used. Our team always go the extra mile to ensure our clients are completely satisfied and happy to bring us in again the next time they need a professionally installed suspended ceiling. Suspended ceilings are perfect for shops, offices, hotels, cinemas, churches, clubs, pubs, schools, hospitals, factories and warehouses. 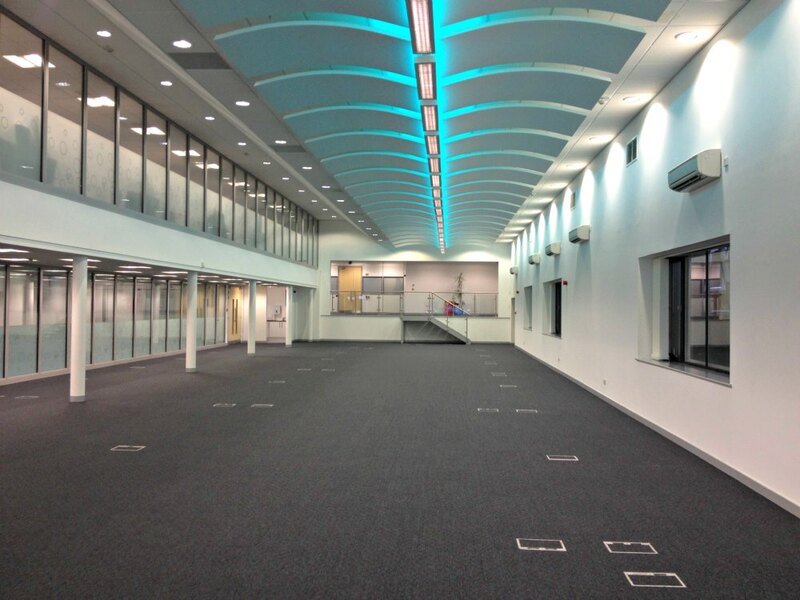 Whatever your business we can design and install the perfect suspended ceilings making your environment a much more pleasant place to work. The clutter of ducts, plumbing, wiring, TV and networking cables, and other mechanical systems can be easily hidden by a suspended ceiling, yet remain accessible for repairs. Suspended ceilings offer superior acoustic properties (better than drywall ceilings) to absorb sound, so surrounding rooms are quieter. Suspended ceilings are resistant to mold, mildew, bacteria, and sagging. They can even be used in areas where high humidity is present, such as the bathroom. The insulating effect of suspended ceiling panels may help lower home heating or cooling bills. In addition, the highly reflective surface of white panels creates a brighter space, optimizing light reflection and reducing the need for additional lighting.